Proof coins were produced by the U.S. Mint with collectors in mind. Getting pristine proof coins is getting harder and harder to find. Please note that these rolls could be mixed date or all the same date depending on what we have available. These rolls will be comprised of dates between 1955-1964. The dates included will be random within the range of 1955-1964, they may all be the same date or they may be mixed dates, depending on our stock. Comprised of 90% silver, 10% copper; each dollar of face value contains about 0.723 troy ounces of silver. Packaged in convenient tubes of 40 ($10 face value per tube). 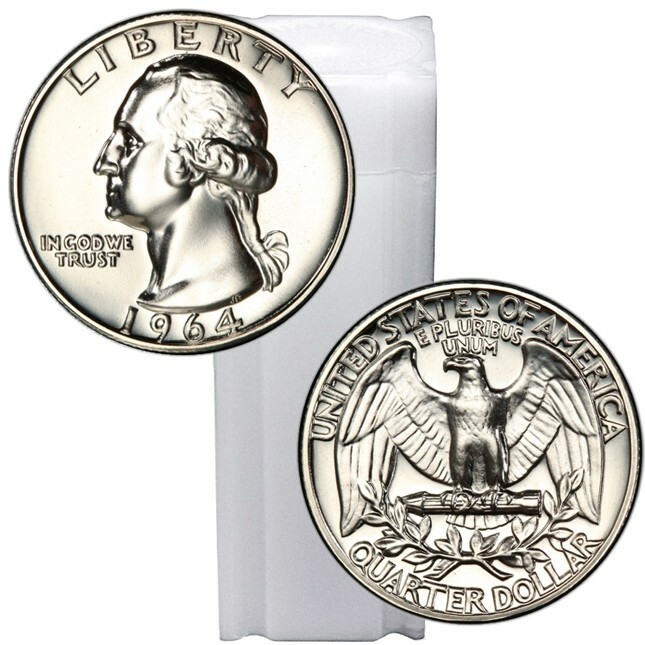 Best Prices on Proof Silver Quarters!